There were many great graphic novels published in 2018. The novels had a variety of storylines, including nonfiction stories and biographies. If you’re a fan of comic books, love a well-written story, or enjoy books that feature exciting characters, graphic novels could be a great choice. Here are some of the best novels 2018 had to offer. This graphic novel by Jason Lutes is a historical drama. The author spent more than two decades crafting the story. The story is set in the last days of the Wiemar Republic in Germany. Drawn and Quarterly released the book, and has now issued all 24 books in the series. This is a huge event for fans of Lutes’ work. The author has a European art style and clean lines with precision and attention to detail. The pace of the graphic novel is European in style. There’s a large character class in the books, and these characters represent various levels and aspects of society. The novel is particularly interesting because of the dramatic irony throughout the story. Most readers can anticipate what will happen in Berlin’s society, which is depicted in the book as cosmopolitan and modern. Lutes work also showcases the comparison between America today and war-torn Germany of the past. 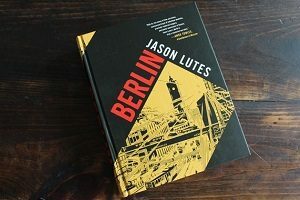 Berlin has been classified by some as the graphic novel of the year for its intricate writing and ability to get readers involved in the story. This creative work was written by Carol Tyler and was distributed by Fantagraphics. 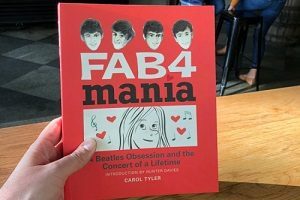 Tyler has a quirky style of writing, and Fab4Mania tells the charming story of a teenager who is obsessed with the Beatles. The story is set in Chicagoland in the 1960s, and is deemed by some as more of an illustrated book than a graphic novel. However, the classification doesn’t take away from the joy Tyler conveys in this written work. Tyler is essentially the young girl in the book, and the novel is her dairy, recounting her undying love for the band. The pictures in the novel and even the handwriting help readers to put themselves in the mind of a young girl, which makes it more entertaining. The work is about 250 pages, and also tells the story of the way a young Tyler sees America and society in the mid-1960s. The gentle style of writing brings a welcome form of nostalgia for readers who remember this time in history themselves. Jeff Lemire, Andrea Sorrentino, and Dave Stewart wrote this popular 2018 graphic novel. The book gives readers clear ideas of the direction non-superhero graphic novels are heading. 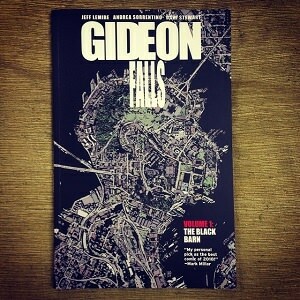 Critics say Gideon Falls is crafted very well and is a psychological thriller with twists and turns that are shocking and compelling. Lemire is a quality writer and artist with several award-winning works to his name, such as Black Hammer, Essex County, and Descender. In Gideon Falls, Lemire works with Sorrentino and Stewart, who is a master colorist. The story is an X-Files type of mystery/horror that features a priest who comes to a small town that is supposedly haunted. There’s a black barn in the town that is the particularly eerie. 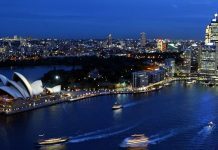 The story has six books and has several characters that show the versatility of Sorrention’s work. Humanoids released this 2018 graphic novel by William Roy and Sylvian Dorange. The novel tells the story of Hedy Lammarr, a Hollywood star, in the 1940s. Lammarr lives a secret life as an engineer and inventor and is developing technology that will be the pre-cursor to the way we communicate today. This graphic biography isn’t very long and was originally written in French. It is the perfect pick for those who are non-graphic novel readers or those who are reading these types of books for the first time. The novel is also significant because it features an intriguing female lead character. This fascinating graphic novel was written by Jean Giraud and translated by Diana Schutz, and distributed by Dark Horse. Giraud was a famed French cartoonist, also known as Moebius. Giraud passed away in 2012, and many of his final written works have been made available in English. In 2018, Dark Horse published a three-edition work showcasing Giraud’s talents. Readers who have followed Jean Giraud’s work for a while are accustomed to his science fiction works like The Incal, Arzach, and Blueberry and The Airtight Garage, which he released under the name Gir. Inside Moebius may seem a little sparse compared to earlier works, since the premise is that Giraud’s works are chased across a desert setting. 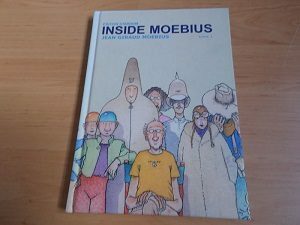 Inside Moebius has psychological elements, and encourages readers to ponder life’s mysteries. There is a combination of humor and mysticism in the work and the storytelling for Inside Moebius really shines through. Diana Schutz, a long-time editor for Dark Horse, helps to bring the novel to life in English, even though the translation was challenging. 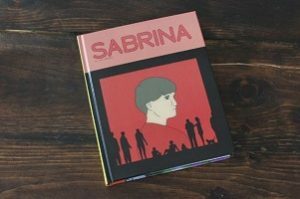 Drawn and Quarterly also published Nick Drnaso’s Sabrina in 2018. The novel provides respite for those who are looking to mentally escape the ills in American culture and politics. Drnaso depicts the isolation and paranoia people may feel, as well as the vulnerability that comes with living in a chaotic society. The main story of the novel is simple. A man’s wife, Sabrina, disappears, and he goes to stay with one of his high-school friends to heal from the incident. While there, he is lured into a world of conspiracy. 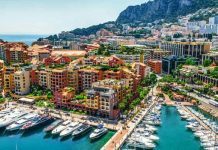 The friend is also dealing with his own loneliness, since the friend is estranged from his wife and is dissatisfied with his job. The art in the book is clean and simple and there’s lots of white space to further convey the story. Critics say that Sabrina will likely win literary awards in 2019. This graphic novel by Mark Russell and Mike Feehan, along with other contributors, was distributed by DC. The book revives the classic cartoon, The Flintstones and modernizes it. Many of the other characters who were made famous by Hanna Barbara are also featured, such as Quick Draw McGraw, Huckleberry Hound and of course, Snagglepuss. 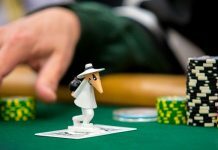 The Blacklist and McCarthyism are the backdrop for the book, and the characters face a number of moral, political, and sexual repression issues. Even though these are cartoons we know and love, Feehan’s artwork is much more serious and pleasantly artistic. Snagglepuss is a famous playwright in the novel who is homosexual. His sexuality is supposed to be a secret, but once it is revealed, he’s harassed by the police, who are part of the Cold War culture. The graphic novel has six books and readers can easily become emotionally invested in the story. The other characters are intricately woven into the novel as well, and take on more human traits to make them relatable. 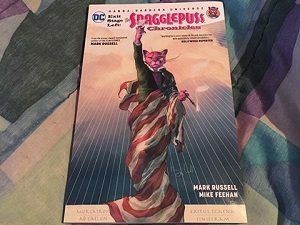 The Snagglepuss Chronicles is one of the best ways to see how endeared animated characters that shaped our childhoods deal with the ills of society in a different time era. This work is ideal for those who want to stretch their imaginations and see characters they love in a variety of real-life scenarios.